The launcher wars have begun! With Epic now buying exclusive games to their platform, Blizzard having their own launcher and EA their own origin service, the days of Steam being completely synonymous with PC gaming are almost over. What this means for us gamers is that we now have to install and use a bunch of different library software to launch games. Luckily, there are a couple of solutions to keep your PC gaming collection in order and in one place, solutions which are free and fairly easy to set up. So, with that in mind, let’s see the 3 ways to unify your game library! 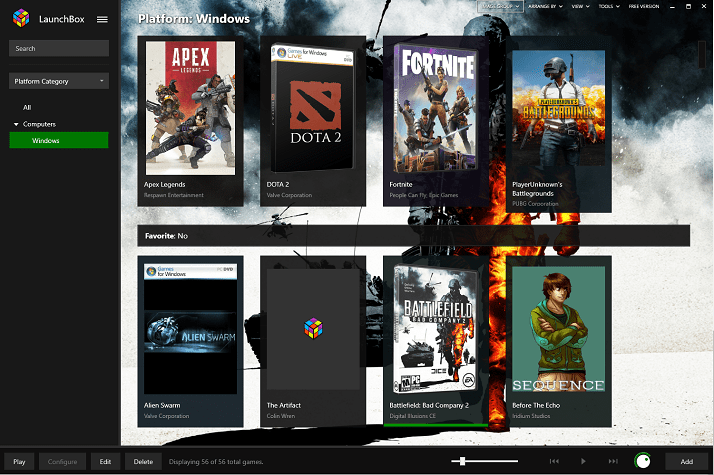 Playnite is an open source software that supports importing the most popular gaming libraries, through which you can easily link games from Steam, Origin, GOG, Battle.net (WoW and Overwatch), Twitch, Epic and uPlay. Playnite also supports adding games manually and emulators if you’re into the retro games. 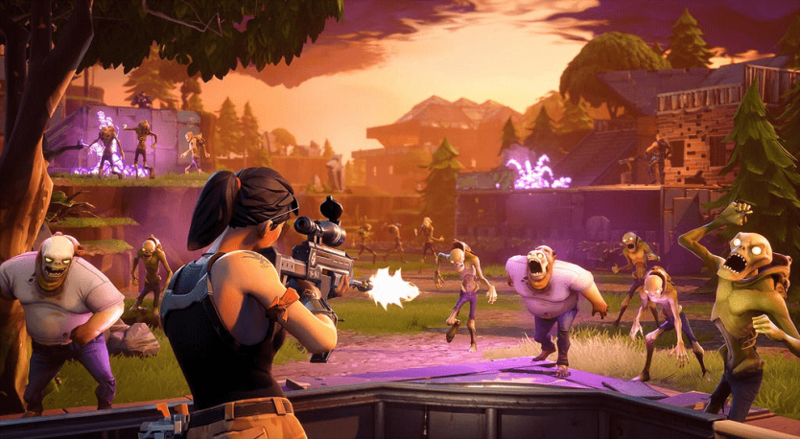 Playnite has the best combination of ease of use and quality out of the three options in this post. 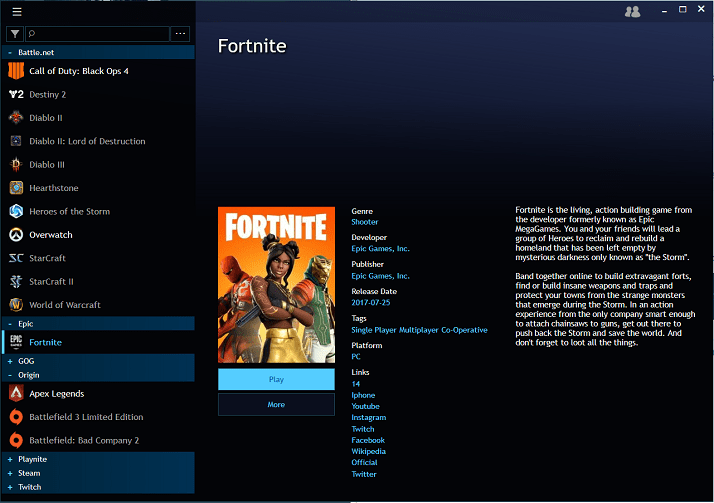 To get started, you select which libraries you would like to import into Playnite, and you also have the option to authenticate your account to import games that you own but haven’t installed. You can also manually import games that aren’t in any libraries, by scanning a folder or specifically selecting the executable, after which, Playnite will then download metadata if able and enrich your library with screens, links, and other information. With Playnite, you’ll have the ability to sort your games by several criteria, including tags, rating, last played or critical rating, as well as the ability to group by publisher or category. Launchbox is a more mature central library for games, with a stronger focus on emulation as opposed to consolidating the disparate libraries. However, it still does a great job at unifying your games, but it does require a little bit more work. The only integration with other libraries that Launchbox has is Steam and Windows games. You go through a wizard that asks for your Steam profile so that Launchbox can connect to Steam via API in order for it to import your Steam library. As for the Windows games, Launchbox scans your PC for installed games, if any. Afterwards, Launchbox will download metadata from either its own database or sources like Wikipedia to enrich your gaming library. The fidelity and quality of this metadata is better and more complete than Playnite’s. For games that aren’t on Steam such as PUBG, namely Blizzard games, Fortnite (Epic) and Apex Legends (Origins), you have to manually add the executable one by one instead of importing those libraries. More so, you have the ability to sort your list in over a dozen ways, as Launchbox also has multiple display options. There are a couple more views that are generally less aesthetic than others, but Launchbox as a lot of options after the initial set up, as this post is really just scratching the surface of what you can do with it. Finally, the library that started it all, Steam has the ability to manually add games that weren’t purchased through it, provided that you have the game installed. Of course, you’ll need Steam installed in order to use them as a central library, but what kind of self-respecting PC gamer doesn’t have Steam installed anyway! 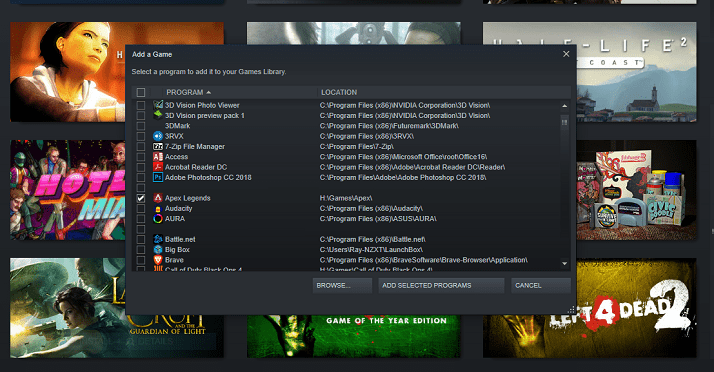 So, in order to manually add a game to Steam, simply click the bottom left Add a Game and a dialogue will open up allowing you to select programs or games you have installed on your PC. That being said, exclusive PC games seem to be the reality for the near future, but at least with these 3 ways of unifying your game library, you can have all your games in one place for your setup. Raymond Sam is a long-time gamer and a owner of TheGamingSetup, a website which reviews gaming mice and keyboards rigorously to recommend the best gear for their readers’ gaming setup. Need help with a banned game account? We're here to give you the best help in order to get your game account unbanned!